Property tax rates in Ohio are higher than the national average, but lower than several those of other Midwestern states. The average effective property tax rate in Ohio is 1.56%, which ranks as the 12th highest in the U.S.
To calculate the exact amount of property tax you will owe requires your property's assessed value and the property tax rates based on your property's address. Please note that we can only estimate your property tax based on median property taxes in your area. There are typically multiple rates in a given area, because your state, county, local schools and emergency responders each receive funding partly through these taxes. In our calculator, we take your home value and multiply that by your county's effective property tax rate. This is equal to the median property tax paid as a percentage of the median home value in your county. 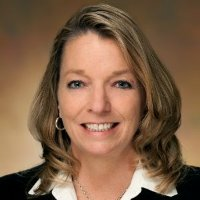 Jennifer Mansfield, CPA, JD/LLM-Tax, is a Certified Public Accountant with more than 30 years of experience providing tax advice. SmartAsset’s tax expert has a degree in Accounting and Business/Management from the University of Wyoming, as well as both a Masters in Tax Laws and a Juris Doctorate from Georgetown University Law Center. Jennifer has mostly worked in public accounting firms, including Ernst & Young and Deloitte. She is passionate about helping provide people and businesses with valuable accounting and tax advice to allow them to prosper financially. Jennifer lives in Arizona and was recently named to the Greater Tucson Leadership Program. How helpful was this page in answering your question? Thank you for your answer! Your feedback is very important to us. We are working hard to improve our product and could use your help! We pay $30 for 30 minutes on the phone to hear your thoughts on what we can do better. Please enter your email if you'd like to be contacted to help. Homeowners in the Buckeye State pay property tax rates that are higher than the national average but lower than those of several other Midwestern states. The average effective property tax rate in Ohio is 1.56%, which ranks as the 12th highest in the U.S. However, tax rates vary significantly between Ohio counties and cities. The highest rates are in Cuyahoga County, where the average effective rate is 2.38%. The county with the lowest rates is Lawrence County, which has an average effective rate of 0.87%. Looking to calculate your potential monthly mortgage payment? Check out our mortgage calculator. Property taxes in Ohio pay for important local services like schools, police departments and parks. They’re also a major source of revenue for city and county governments. Every county has a county auditor who is responsible for determining the assessed value of each home in the county, on which property taxes are based. Property appraisals follow a six-year cycle in Ohio. Counties conduct full appraisals once every six years, and values are updated based on market conditions in the third year after the appraisal. Appraised values should equal 100% of market value. However, assessed values in Ohio – the amounts on which property taxes are based – are calculated at 35% of appraised value. So, for example, if your property is worth $100,000, your assessed value should be $35,000. Since counties all have their own appraisal methods, assessed values can vary from one county to the next. For this reason, the state of Ohio annually publishes “sales ratios” which represent the assessed value in a county as a percentage of actual value. Ideally, this value would be 35%, but in many places it is closer to 30%. 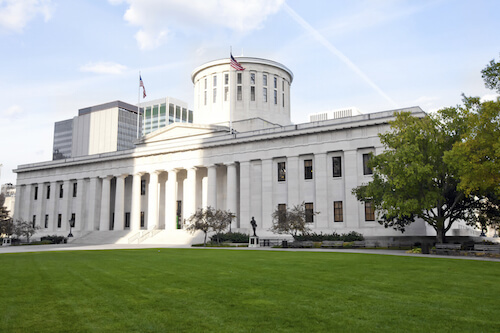 If you’re looking to move to the Buckeye State despite the slightly high property taxes, check out our guide to mortgages in Ohio. This will inform you about the rates and details about refinancing or getting a mortgage in each of the counties of Ohio. Property tax rates in Ohio are expressed as millage rates. One mill is equal to $1 of tax for every $1,000 in assessed value. Rates vary by school district, city and county. Because of the differences in assessed value described above, millage rates in one county cannot be directly compared to another. For this reason, it is useful to look at effective tax rates. The average effective tax rate is calculated as the median annual property tax as a percentage of the median home value in a county. This table presents average effective tax rates, median real estate tax and median home value for every Ohio county. Ohio’s largest county by population also has the highest property taxes in the state. The average effective property tax rate in Cuyahoga County is 2.38%, which ranks first in the state and among the top 100 counties nationally. Rates are especially high in the city of Cleveland. Within the Cleveland Municipal School District, for example, the 2016 total rate was 52.5 mills. That rate applies to assessed value, which is equal to about 33% of market value in Cuyahoga County. Franklin County is located in central Ohio and contains the state capital, Columbus. On average, the county has the third highest property tax rate in Ohio, with an average effective tax rate of 2.07%. The last countywide reappraisal in Franklin County was in 2017. Situated along the Ohio River in southwest Ohio, Hamilton County has property tax rates higher than both the state and national averages. The county’s average effective property tax rate is 1.79%. That is also higher than the rates in Kentucky’s Kenton, Boone and Campbell counties, which are located across the river from Hamilton County. Effective property tax rates in those counties range from 0.96% to 1.18%. The median annual property tax paid by homeowners in Summit County is $2,414, the 11th highest amount in the state. That is about $350 higher than the state median. However, it is worth noting that homeowners in nearby Cuyahoga County pay an even higher amount annually, at $2,903. 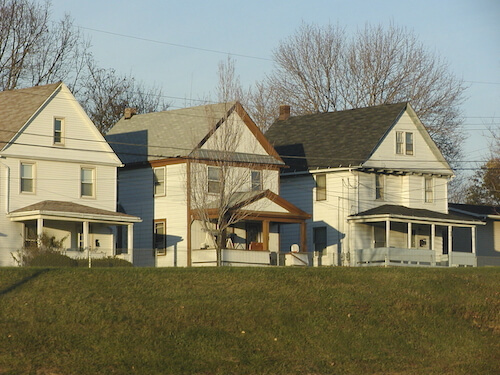 This western Ohio County has among the highest property tax rates in the state. The county’s average effective property tax rate is 2.17%, which ranks as the second highest out of Ohio’s 88 counties. In Dayton, the county’s largest city, the total residential rate for 2014 was 52.89 mills. That millage rate applies to assessed value, which is equal to about 33% of market value in Montgomery County. Situated along the Michigan border and Lake Erie in northern Ohio, Lucas County has property tax rates that are higher than both state and national averages. The Lucas County average effective property tax rate is 2.01%, which ranks as the fourth highest rate in Ohio. At that rate, taxes on a home worth $100,000 would be $2,010 annually. This central Ohio county, which is named after Revolutionary War hero John Stark, has property taxes far lower than most of Ohio’s other urban counties. The county’s average effective property tax rate (which is equal to median annual property taxes as a percentage of median home value) is just 1.42%. That is lower than the state average (1.56%) and the rate in neighboring Summit County (1.80%). Butler County is located in southwest Ohio, just to the north of Cincinnati. Property values in Butler County were reappraised in 2014, which means there will not be another reappraisal until 2020. The county’s average effective property tax of 1.50% ranks as the 16th highest in the state. Situated along Lake Erie in northern Ohio, Lorain County is party of the greater Cleveland metropolitan area. While the county’s average effective property tax rate of 1.65% ranks as the 10th highest in the state, it is still well below the rate in neighboring Cuyahoga County. The average effective rate there is 2.38%. According to the U.S. Census Bureau, the median home value in eastern Ohio’s Mahoning County is $98,300, among the lowest in the state. That is part of the reason homeowners in Mahoning County pay relatively low property taxes. The median annual property tax payment in Mahoning County is just $1,505. SmartAsset’s interactive map highlights the places across the country where property tax dollars are being spent most effectively. Zoom between states and the national map to see the counties getting the biggest bang for their property tax buck. Our study aims to find the places in the United States where people are getting the most for their property tax dollars. To do this we looked at school rankings, crime rates and property taxes for every county. As a way to measure the quality of schools, we calculated the average math and reading/language arts proficiencies for all the school districts in the country. Within each state, these schools were then ranked between 1 and 10 (with 10 being the best) based on those average scores. For each county, we calculated the violent and property crimes per 100,000 residents. Using the school and crime numbers, we calculated a community score. This is the ratio of the school rank to the combined crime rate per 100,000 residents. We used the number of households, median home value and average property tax rate to calculate a per capita property tax collected for each county. Finally, we calculated a tax value by creating a ratio of the community score to the per capita property tax paid. This shows us the counties in the country where people are getting the most bang for their buck, or where their property tax dollars are going the furthest. We're now sending you to 's secure website.